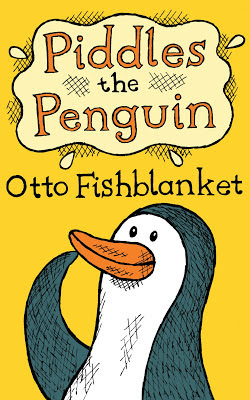 Here is my new bestselling work of children's literature! It is about a penguin called Piddles who widdles everywhere. It will be free, of course, for a short period, purely out of the goodness of my heart, on Monday and Tuesday. Probably this coming Monday and Tuesday, the 28th and 29th of January. But as it is only 99 cents, or 77 pence, why not buy it anyway? You can always return it if you don't like it! Click on this rather shakily drawn cover image to view the thing on Amazon.com, or click on the links underneath!